Schools, parents and students alike are fast becoming aware of the positive role the Apple iPad has to play in education. It can be used for a wide range of activities including research, revision notes, browsing the internet, homework, coursework and also as a presentation aid. In previous blog posts we have spoken about how HardSoft, as an Apple Authorised iPad stockist, are able to lease iPads to schools as part of an Apple Learning Lab. This handy device allows you to manage up to 30 iPads at once using Apple Configurator – limiting student access to certain applications if necessary during lesson time. Furthermore, all of our operating leases are fully compliant with the Department for Education Guidelines. Uniquely, all leased iPads with HardSoft come with a full 3 year warranty and insurance against loss, theft and accidental damage. The insurance covers your iPads against accidental damage, loss and theft: 3 issues that are perhaps more likely to occur within a school environment…and its cheaper than buying iPads ! Extending the above service further, HardSoft are now also proposing a new iPad leasing scheme for the student themselves. Instead of the iPads essentially belonging to the classroom and being shared by students, schools can now lease their leased iPads out to individual students on a pay monthly basis. Aimed at older students in years 10 and 11, this benefits the school as it is likely most classrooms will continue to have iPad access. However, it also benefits the student as by giving them the opportunity to have their own iPad it allows them to continue school work at home through both an interactive and engaging device. Our ‘iPads for Students’ scheme is also VAT free for parents which means that its cheaper than buying. The school being VAT registered claims the VAT back and passes this benefit onto the student.With no credit checks on the parent and little paperwork, the learning advantages of an iPad become available to students from all backgrounds. For the school is cheaper than buying. 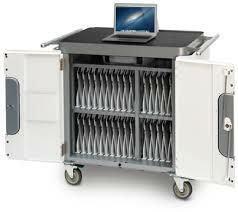 Schools can now lease an Apple Learning Lab with HardSoft or opt to lease iPads to individual students! HardSoft believe this leasing scheme provides an invaluable opportunity for students of poorer families in particular who are not able to afford the outright purchasing of an iPad. Furthermore, as it can be taken home, it also becomes a family device to be used by parents as well as children. 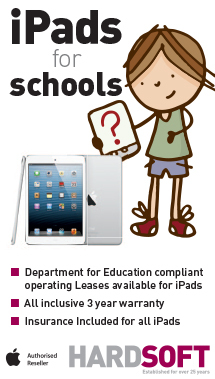 Here at HardSoft we suggest schools lease iPads to students at a cost of 5% more than they pay for the lease with us. This then ensures that the school does not lose any money in case of any potential but unlikely administration costs. Schools might also wish to subsidise some of the finance for families who are unable to afford complete payments. As a business HardSoft have been around for over 25 years and are licensed by The Office of Fair Trading. So, if your school is interested in providing its students with this great opportunity then give us a call on 0207 1111 643 or pop into our East London office in Shoreditch (Cheshire Street, just off Brick Lane). Or, if you would prefer, we are happy to send one of our consultants to you personally to discuss our compliant operating leases in greater detail – a team of Apple Certified Support Technicians are happy to help!